Long ago, when I was a little girl in Los Angeles, I loved an ancient magnolia in the front yard, a tall red hibiscus in the back, and the scattered palm trees in our concrete jungle. These glimpses of green led me to imagine wide open spaces and write stories about pioneer families who built sprawling farmhouses on the prairie and never died of dysentery. So fifteenish years later, when Noah and I signed the papers on our small house in the rolling foothills of North Carolina, that spark reignited. I planted a garden. We built terraced garden beds by stacking landscape timbers on the sunniest hillside and back-filling the clay soil with hauled-in compost. It was a gateway garden. We already had two dogs and two cats (down to one cat now), who, without the purpose provided by a working farm, were basically useless. But when we got Ethan two bunnies for Christmas two years ago, and then a half dozen hens (that turned out to be exclusively roosters, but we’ll get back to that), the dogs suddenly made sense. They keep our neighbor’s enormous Great Dane in check, as well as any hungry hawks, wayward leaves, or delivery guys with suspicious motives. The cat drops dead mice and the occasional garden snake on our driveway, which is a little sad but better there than in our house, is what I say. And if our neighbor can justify a Great Dane in such a modest setting, we could certainly make a case for two small goats: Dwopple and Songbreeze, brother-sister twins who may not even grow as big as Cody (our rescue beagle who, once nourished, grew into a German shepherd with floppy beagle ears and a singsongy bellowing howl). We’ve turned our large backyard into a fun-size farm. Like a fun-size candy bar, it gives you a taste of what you want. It might be just enough, or it might leave you wanting more. I will say that we’re fortunate to be in a semirural, unincorporated setting. Our neighborhood was built on a former horse farm. Our house sits on a triangular one-third-acre lot at the top of a cul-de-sac, so we have a good deal more backyard privacy than even other neighbors further down the street. But we didn’t set out with fun-size farming in mind: it was a happy accident. And I’m here to tell you, you can be a fun-size farmer too. You don’t have to raise dwarf milk goats if you can’t or don’t want to. You don’t have to even have an in-ground garden or go renegade with illegal backyard chickens. Fun-Size Farming is any size you like. It’s a potted herb garden in a windowsill, landscape plants that sneakily bear edible fruit. 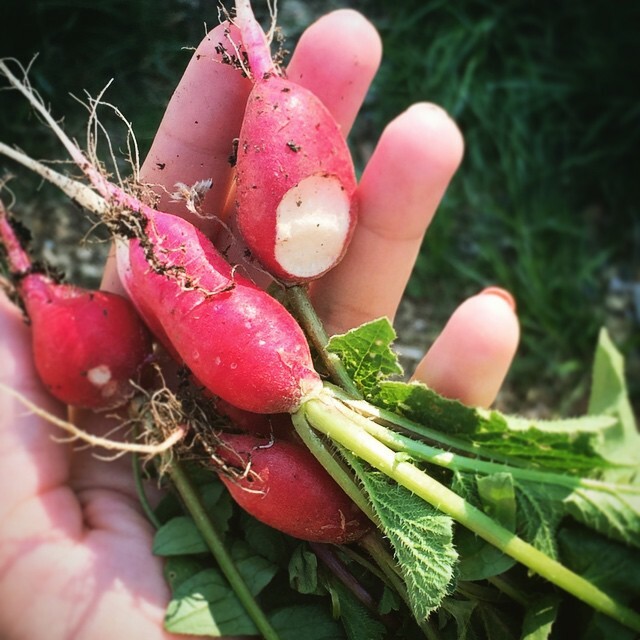 Welcome to the Fun-Size Farming blog series! 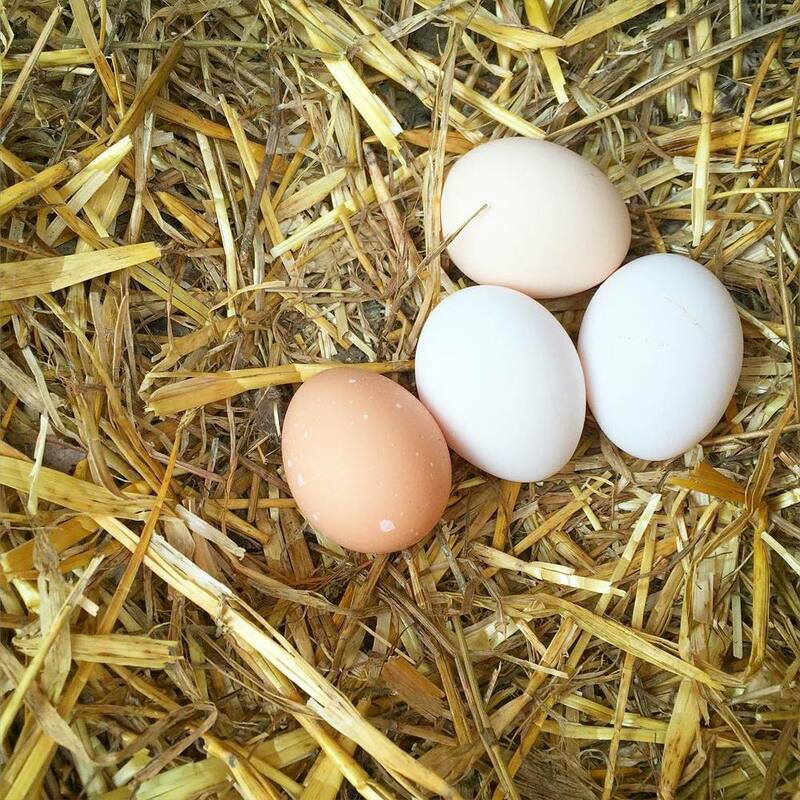 In this series, I’m going to give you a primer for your own Fun-Size Farm, whether you have aspirations for fresh parsley on your dinner plate or a spoonful of honey in your tea from a hive you can see out the kitchen window. Etheridge Farms is funny, but it’s no joke. In my opinion almost all crazy hopes and dreams are hilarious, but they certainly aren’t stupid. Follow along these next few weeks, and I’ll show you the ludicrously delightful world of Fun-Size Farming. Next week: A video tour of #EtheridgeFarms!